Jourdanton’s softball team owns its destiny in the District 3A-30 title race. The Squaws (19-6, 6-0 District 3A-30) made a huge stand in their 10-9 extra innings home win against Natalia on April 2. After the Mustangs, which entered ranked 12th in 3A, tied it at nine with four runs in the top of the sixth, Jourdanton scored the winning run on a walk-off hit by Emma Dorroh. As the ball sailed to first base, Allie Wheeler ran home to score. Kameryn Guzman had laid down a clutch bunt for a single and moved Wheeler to third base. Laney Harlan said the team knew it would hold on after Natalia came back. “I think we knew all along that if that were to happen, we would come back and get a win. We had a lot of confidence. Our energy level was really high,” said Harlan, who hit a three-run home run early in the game. Harlan and Allie Touchstone said it felt good to knock the Mustangs out of the ranking. “I honestly didn’t know they were ranked that high. I just knew they’re our biggest competition and our toughest team to beat,” Harlan said. 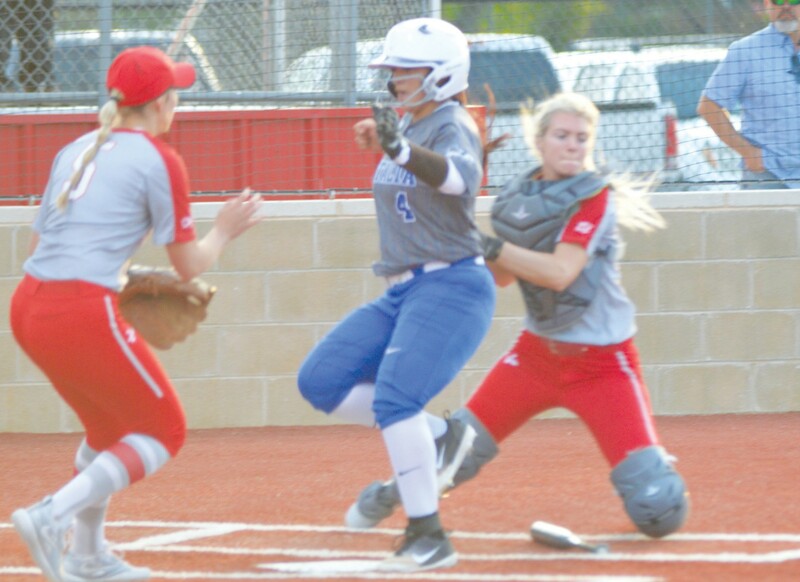 Jourdanton head coach Chuck Ponton said that the team had one of its better defensive games and that he was impressed by Harlan’s pitching performance. “To pitch that well against a ranked team is phenomenal,” he said. Jourdanton beat Dilley 13-3 at home on April 5. The Squaws jumped to a big lead early, scoring six in the first and two in the second before continuing to tally runs in all six innings. Allie Wheeler had three hits and four RBIs. Touchstone had three hits and three RBIs. Cladi Muñoz also had three hits. The Squaws won 15-5 at Lytle on April 9. That was Jourdanton’s seventh straight game with scoring 10 or more runs and 14th time this season. Jourdanton’s senior night game against Cotulla on April 16 will be the first of two games in three days in its quest to wrap up the district title. That will be followed by the finale at Natalia on April 18, which Touchstone and Harlan said has to be their best game.